Of course, the first step in crafting a great meat sauce is choosing the right meat. Bolognese is most often made with either ground beef or veal. Ground beef chuck with 20 percent fat will make an excellent start for a flavorful sauce. Many recipes also recommend throwing in some ground pork for additional meaty taste, and pork shoulder is a good choice for this application. The New York Times recommended including half as much pork as you do beef. There’s plenty of room for customizing the flavor of your bolognese. One way, as Bon Appetit suggested, is starting the cooking process by toasting spices like bay leaves, cloves, fennel seeds, red pepper flakes and peppercorn. Use a mortar and pestle to grind the spice mixture and then set it aside. Saute onion and garlic in olive oil over medium heat. When the onions become translucent, add carrot and celery to cook another two minutes. Place the meat in the pan, seasoning with salt and pepper. When the beef begins to brown, pour in a cup of whole milk and simmer it away. Then, add seasoning, followed by a cup of dry white wine. When the wine evaporates, stir in chopped, canned tomatoes. Giada De Laurentiis of the Food Network recommended cooking at a medium-low heat for half an hour. However, you can achieve the best results by simmering at a very low heat for hours, occasionally stirring and adding water to keep the sauce from drying out. In the end, all water should be gone and the fat separated out. 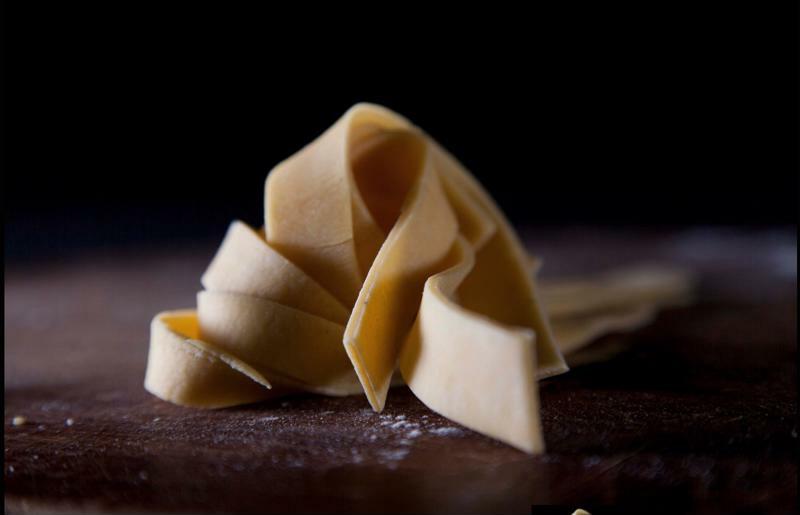 Opt for a flat, broad pasta when preparing bolognese. While the sauce is cooking, get your pasta ready. You should pick a shape that’s flat and broad like pappardelle or fettuccine, though the sauce is also a fantastic choice for making lasagna. Cook until al dente and drain. Toss together the pasta and sauce, adding a tablespoon of butter and topping it all off with grated Parmesan. There are countless variations on bolognese sauce involving different ingredients and preparation methods. Try a few and you may soon discover your new favorite way of serving pasta.